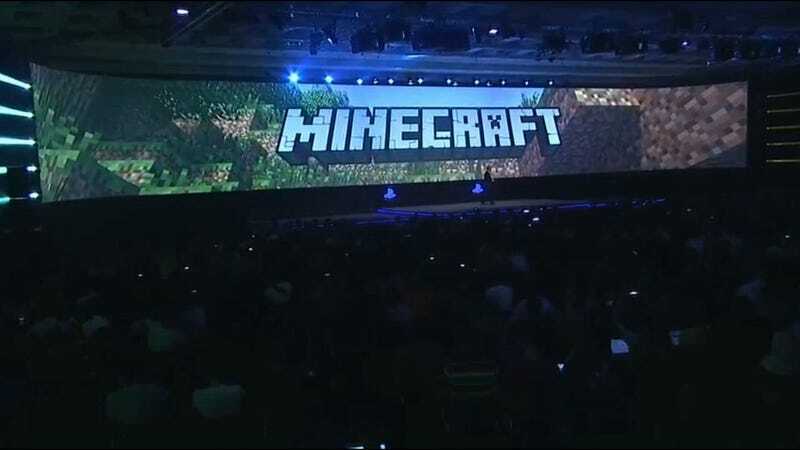 Oh wow, Sony just announced that Minecraft is a launch game for PlayStation 4. The blocky crafting game has been printing ridiculous amounts money on PC and Xbox 360, so this is a natural next move. It's also coming to Xbox One at some point. UPDATE: And PS3, and Vita, Minecraft creator Markus Persson says on Twitter.